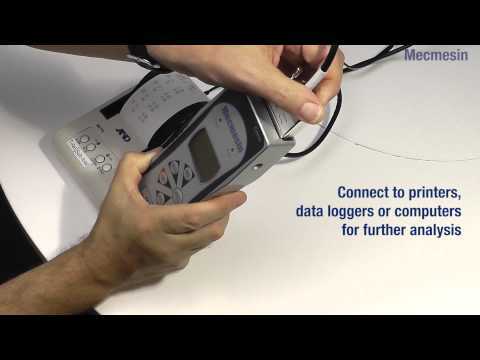 The Mecmesin Advanced Force Gauge (AFG) is the most versatile and fully-featured digital force gauge on the market. It can be used hand-held or fixed to a manual or motorised test stand to allow testing under controlled speed conditions. The AFG is fitted with a high-precision “internal” loadcell accurate to ±0.1% of full scale. For added flexibility the AFG is able to recognise data from our range of external 'plug and play' force or torque transducers. The AFG can be used with a wide range of Mecmesin grips and accessories.